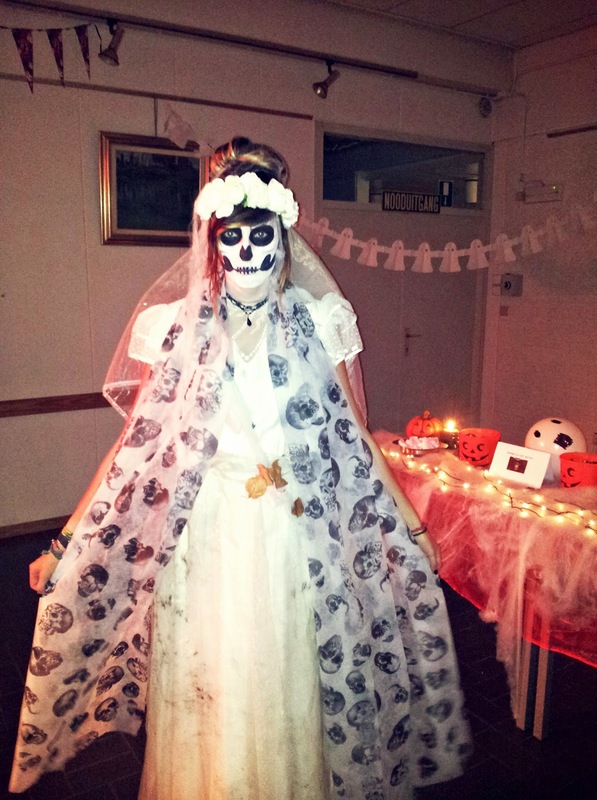 Yes, I am fully aware Halloween is already almost a month ago, but considering I promised last week to show you my Halloween outfit - which I'm quite proud of - and some Halloween themed party decorations, here we are. Besides, Halloween is fewer days ago than Christmas is ahead of us - lawyer out. This year for Halloween, I decided to dress up as a character I made up from combining elements from other disguises and themes. 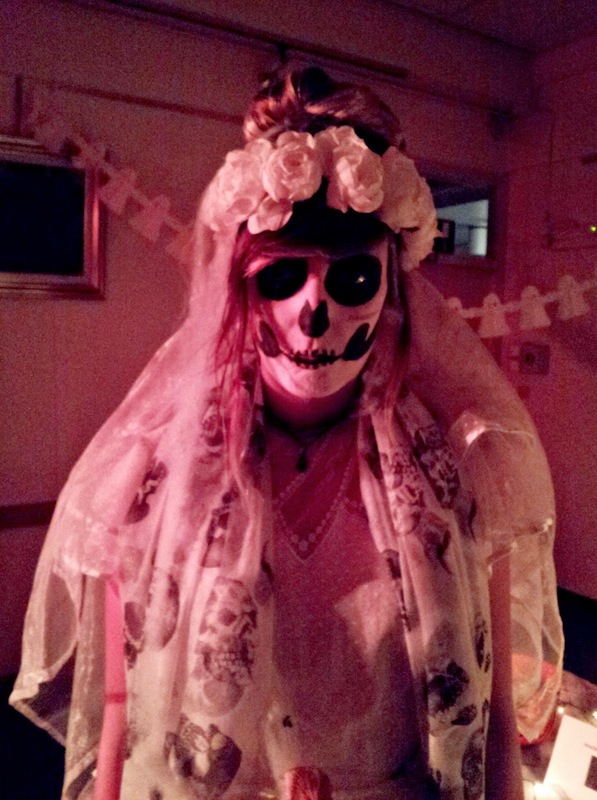 There were really only two conditions: a) wear a wedding dress, and b) paint my face like a skull. Hence, Corpse Bride was born, although not Tim Burton's blueish one. 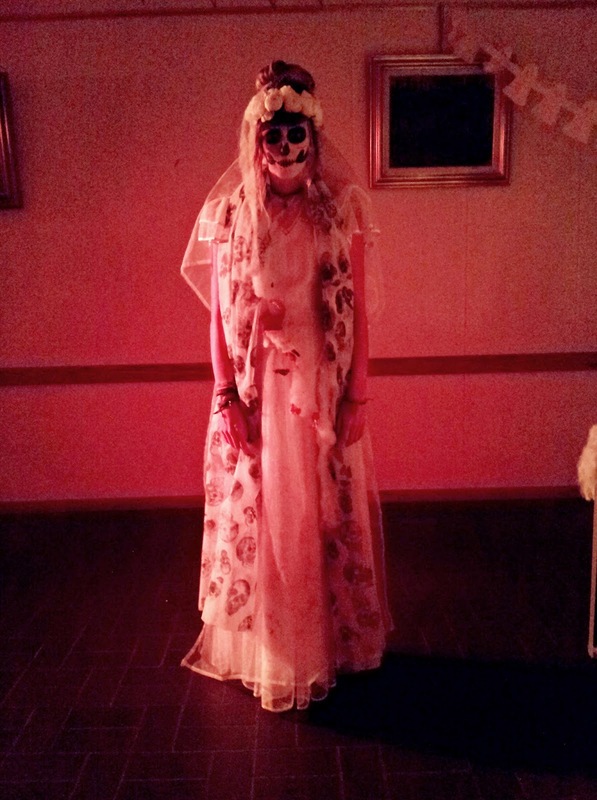 I wore my mom's wedding dress which fit me like a dream, painted my face, added some leaves and dirt (not on the dress though) and I was more than ready to scare some people's pants right off. 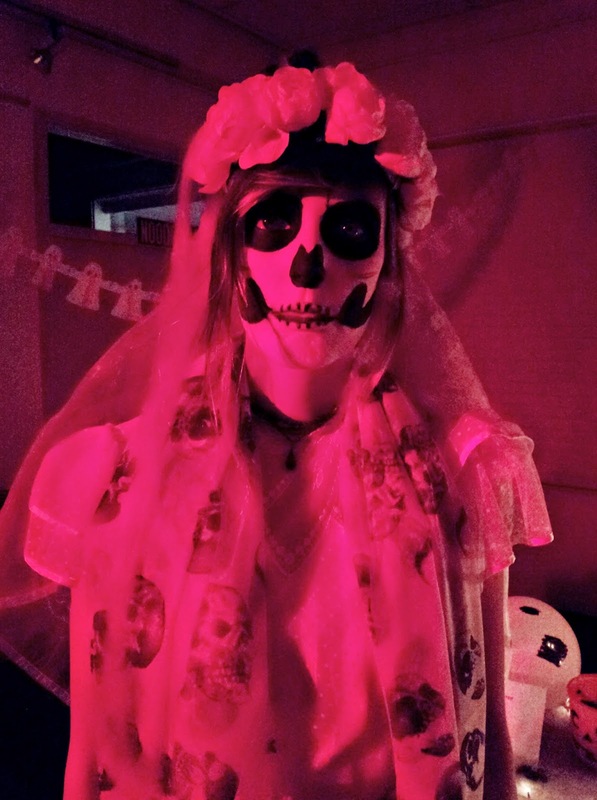 After deciding upon the outfit in August or so (seriously), I went through the roof from happiness when I learned I would have an actual Halloween party (!) this year, as my sister decided - with a little bit of convincing from yours truly - that she would throw a Halloween themed birthday party. Even though I transformed into a manic and slightly crazy party planner, our hard work paid off as evidenced by the results below. 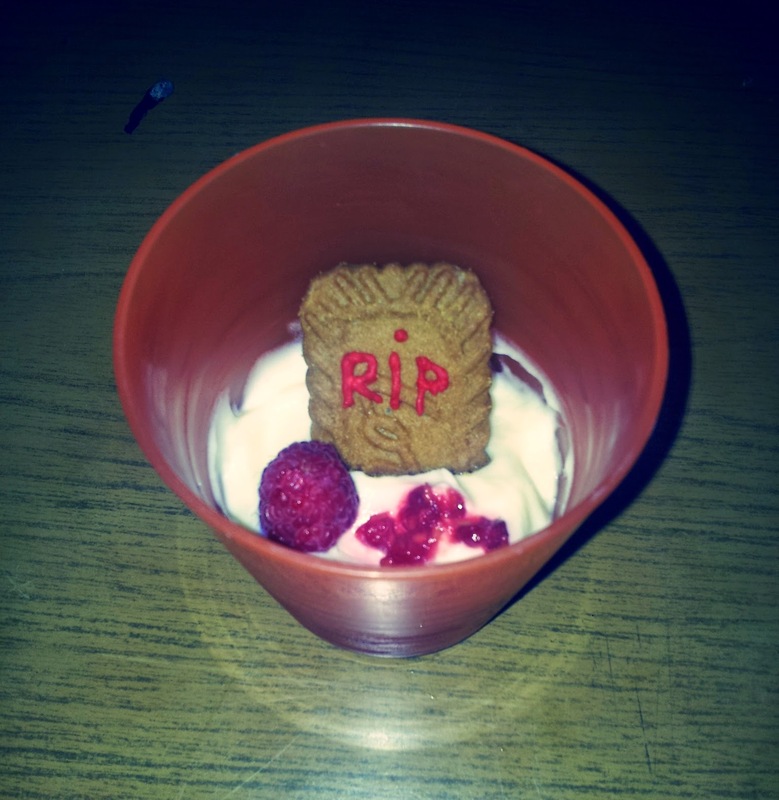 I hope you'll get some inspiration for next year and as for now, let the holidays come (but first our little tradition of Sinterklaas, obviously)!